Account-based marketing (ABM) is taking the B2B world by storm. SiriusDecisions reported in April that 52 percent of B2B companies already have a pilot program in place. No surprise there: ABM makes a lot of sense and every business is eager to generate revenue. 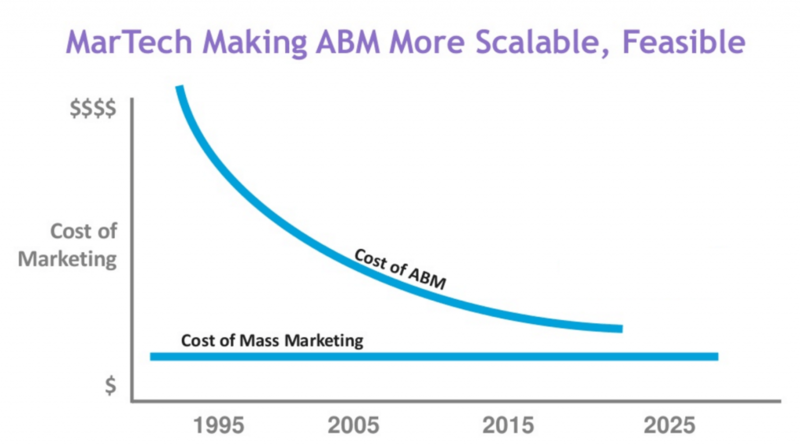 Then again, ABM isn’t really a new concept. Salespeople have always understood that targeting their ideal prospects is the best way to get their ideal customers. Seems simple, right? But until recently, account targeting has been limited to one-off campaigns that either worked well for a time or fizzled and died. The ability to run a large-scale, ongoing ABM strategy has only become possible with the recent appearance of technologies such as predictive analytics and real-time personalization. Initial successes have been huge. 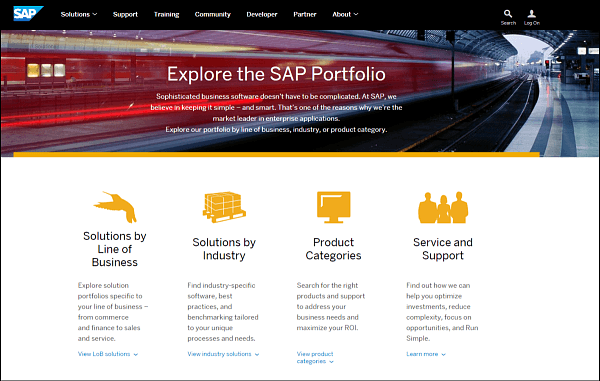 SAP, for example, created $27 million in pipeline opportunities by implementing ABM this year. Why does ABM need a stack? For one thing, it’s complicated. Account-based marketing stretches across multiple channels and generates a lot of data . . . which of course has to be recorded, measured, and analyzed. Just like regular B2B marketing, there’s no singular tool that can manage it all. Secondly, ABM technologies are still new, and most are taking the best-of-breed road. In April, Jon Miller (former co-founder of Marketo), raised $10 million in Series A funding for a startup called Engagio. 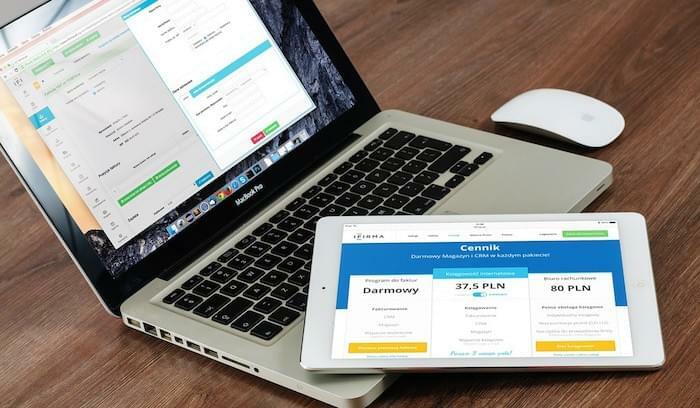 This platform will allegedly function as an “all-in-one” account-based marketing automation platform. Engagio just finished its Beta run and has about 20 customers so far — which is a great start, but hardly a strong presence. For the foreseeable future, we still have a stack. What should be in your stack? How will marketing automation, data services, and analytical tools coalesce into targeted campaigns? One of the best ways to figure this out is by learning from a company that’s already done it. Based on their recent webinar, we have an end-to-end view of Marketo’s ABM strategy, including critical systems and tactics. Special thanks to Heidi Bullock, VP of Demand Generation, and David Cain, GVP of Global Marketing for their expertise. Marketo’s marketing automation platform is one example of the many “MarTech” tools contributing to scalable ABM. 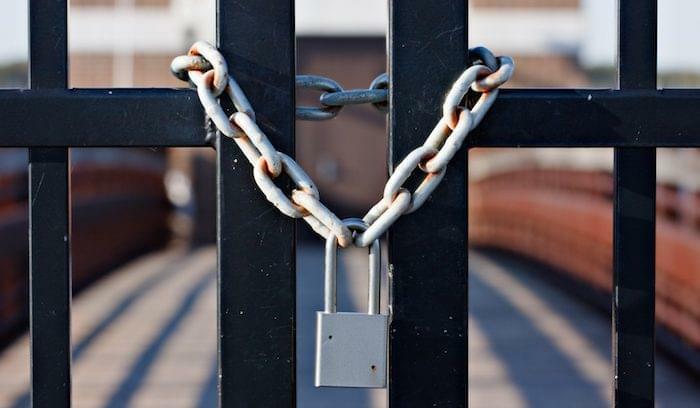 Ironically, as a SaaS (software-as-a-service) vendor, they also rely on ABM to target key accounts and drive revenue. They rely on a number of tools to run account-based marketing, including their own automation platform and a couple “old-fashioned” techniques you might not expect. Let’s take a look. 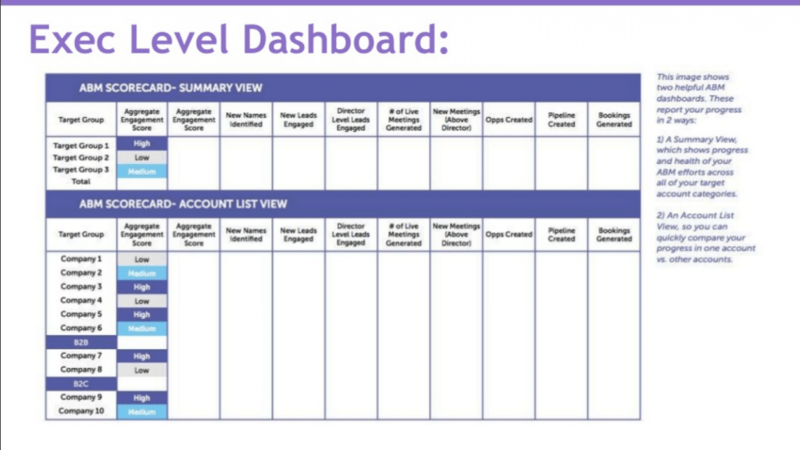 Some of these same tools play into Marketo’s “account-mapping” process, which is about defining organization structure and naming specific stakeholders. It may also include analysis of financial health and business initiatives. 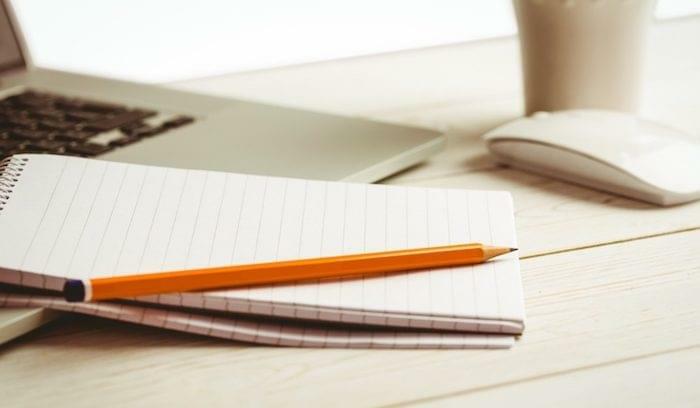 Website personalization is about tailoring content to specific accounts and individuals as they visit your blog, product pages, landing pages, etc. Obviously, that means you need to have the content in the first place. But it also means you need the right mechanism for delivering personalization in real time. Marketo focuses on building awareness by appealing to the interests and priorities of specific prospects. They use marketing automation to segment inbound prospects based on organization, industry, location, and behavior, then automatically engage them with calls-to-action and content. They also use A/B testing to zero in on the most effective tactics. Standard retargeting is basically a way to show ads to people who have visited your site. But when you personalize retargeting for ABM, you gain precision and focus. Instead of retargeting all visitors, you can target users from specific accounts and tailor your message to their unique attributes. Similar to web personalization, you’re showing the prospect a message that appeals to their interests and priorities, but with retargeting, the message follows them after they leave your site. For their B2B campaigns, Marketo saw a 33 percent increase in conversion rates and a 20 percent increase in qualified lead generation by targeting specific accounts with display advertising. 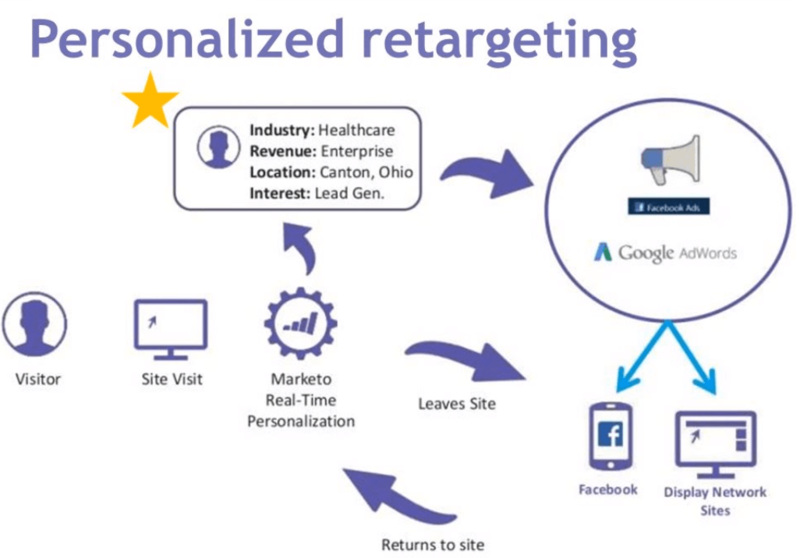 Marketo uses their own platform and Google’s distribution network, but there are also independent retargeting platforms available from vendors such as Demandbase. As an example, Heidi Bullock described Marketo’s fortune cookie mailer, which is a nicely decorated purple box filled with fortune cookies and a letter. The Marketo team uses Salesforce to add leads and contacts to the campaign and a sales fulfillment vendor called MarketSync to deliver the packages. Once the packages are delivered, MarketSync pings a confirmation back to Salesforce . . . which triggers a personalized email and follow-up process. In the first few weeks, Marketo saw a 63 percent connect rate. Micro-events are a fun way to connect with target accounts on a personal level. And since salespeople love them, they’re also a sure bet for campaign buy-in. Again, not technology, but still important. The objective is simple: start a meaningful dialogue that warrants follow-up. Examples of micro-events include exclusive sporting events, executive dinners, onsite seminars, and partner events. 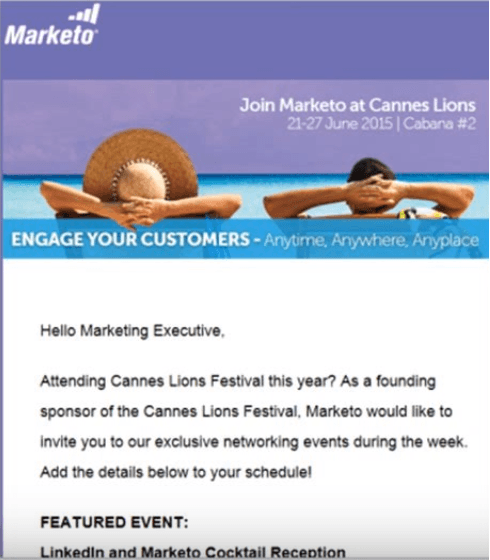 At Marketo, the sales team usually owns event attendance, but marketing creates invitations and tracks results (conversion, ROI, etc.). A recent example is a cocktail reception Marketo held (in partnership with LinkedIn) at the Cannes Lions International Festival of Creativity. Did we create C-level engagement? Did we get meetings with our key accounts? How did the program affect the sales pipeline? This is where things get technical. The account management process can involve anything from email nurturing to web tracking and lead scoring. Essentially, you’re trying to expand your relationship with target accounts and customers in order to maximize advocacy and revenue. 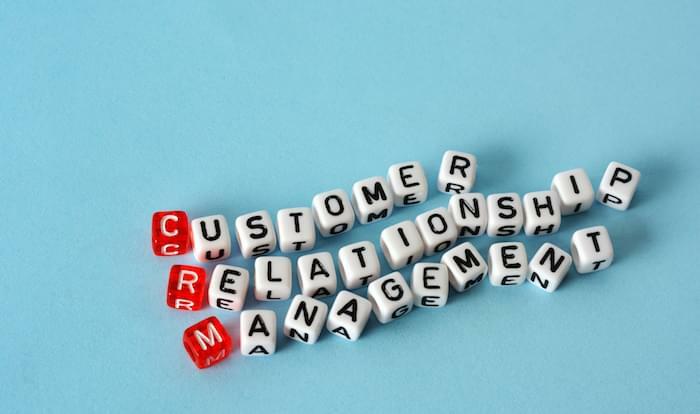 After connecting with their target accounts, Marketo uses a number of tools to expand the relationship. They usually start with a target account email, which introduces the SDR (sales development rep), asks a goal question, and provides a piece of valuable content. Marketo also uses account-specific webinars, onsite events, embedded video conferencing, and dedicated client portals. Whether or not these methods are plausible and scalable, of course, will depend on the size of your account list. Last, but not least, comes the meticulous and important process of analyzing ABM metrics. How many new appointments have you set? How do individual lead scores form an aggregate score for target accounts? How many opportunities have you added to the pipeline? In most cases, you’ll need some combination of web analytics, marketing automation, and ABM software to record and interpret metrics. If your marketing automation platform errs on the simpler side, most of the current ABM platforms (there aren’t many) can track account-specific engagement. To learn more about ABM, check out our blog posts on the future of B2B marketing and ABM thought leaders. Hi Aleks — thanks sharing about the important concept of account based marketing technology! I wanted to let you know that Engagio is actually done with our beta — we are GA with 20 customers so far. Good stuff! Thanks for reaching out, Engagio! Good to have that information. I’ll make an update to the copy.